This chart shows the packages that are required most frequently in FSF projects. There is a total of 8,024 requirements. 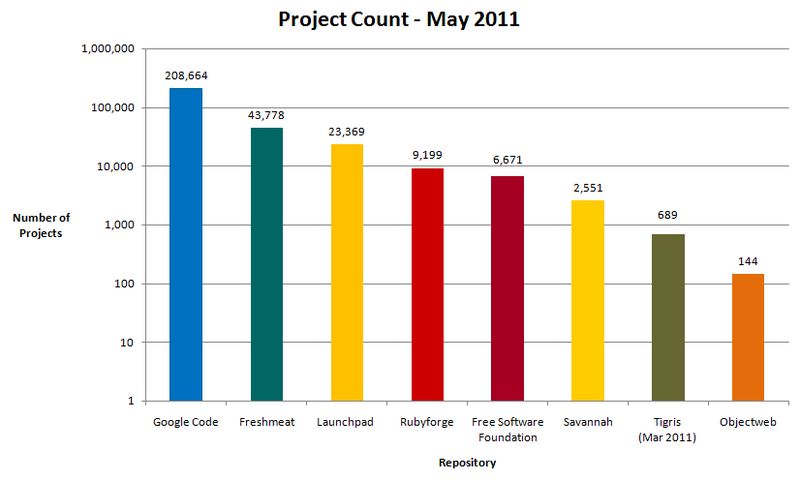 This chart shows the number of projects at each repository that share project names as of May 2011.